Oh, yum! 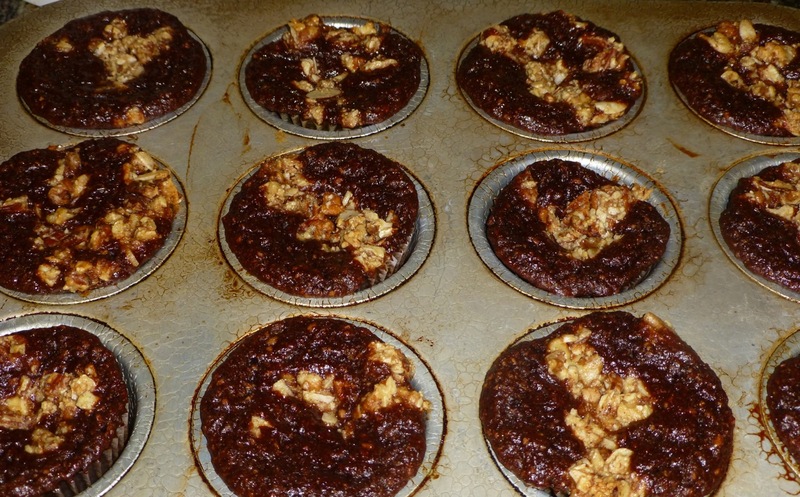 These Chocolate Maple Crunch Banana Muffins were delicious! However, there was one wee user problem — I didn’t allow them to cook long enough. Yup. I was so afraid they might burn that I took them out about 5 minutes too early even though I checked the “tops” for doneness. The “tops” felt a little soft but I assumed that the muffins would continue baking a tad more while resting. I was wrong. So — learn from my mistake so you can enjoy these to the fullest! 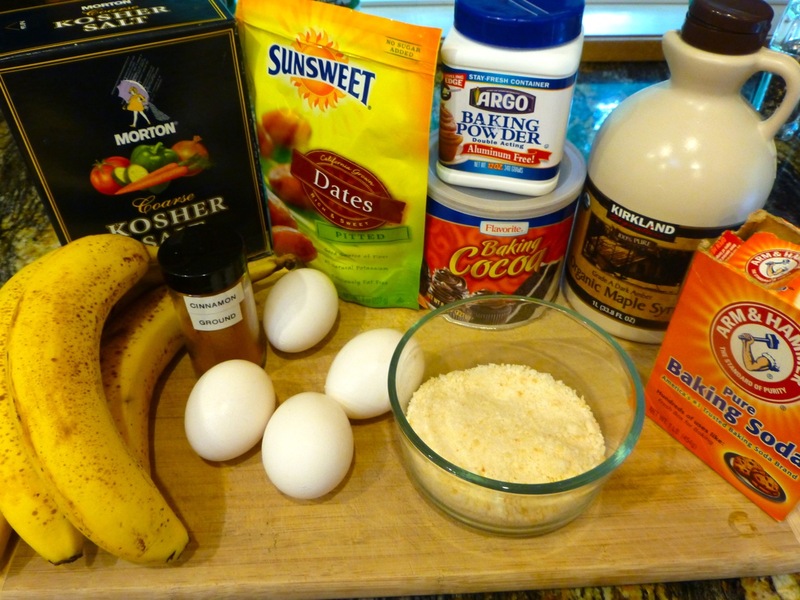 Here’s a pic of the filling ingredients minus the salt and the coconut oil. The original recipe uses Grade B maple syrup. I used Grade A Dark Amber as that’s what I had in the house. Now at this point I asked myself if perhaps I should have added more coconut flour to make the filling thicker so it could “plop” but since this was the first time making the recipe I decided to be true to it and play with it another time. The topping came out just as I expected — a little sticky but perfect. 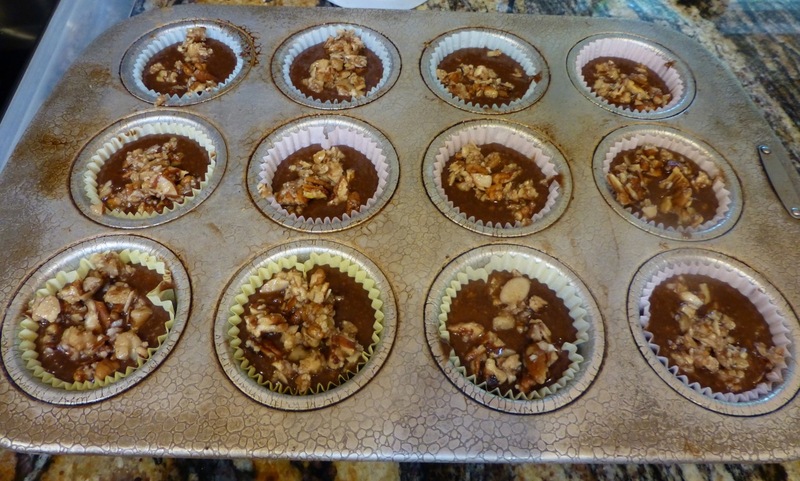 And this is what they look like unbaked with the topping. I tucked them away in a container for snacking or to have as a “side” instead of bread with a meal. I believe next time I’ll try a little more coconut flour and, of course, let them bake 5 minutes more so I can reach perfection with them! In a food processor, puree the bananas and dried dates until you get a paste. Make sure the dates break up completely. Add the eggs, coconut oil, and maple syrup then puree. Add the coconut flour and mix. Then add the cocoa powder and mix again. 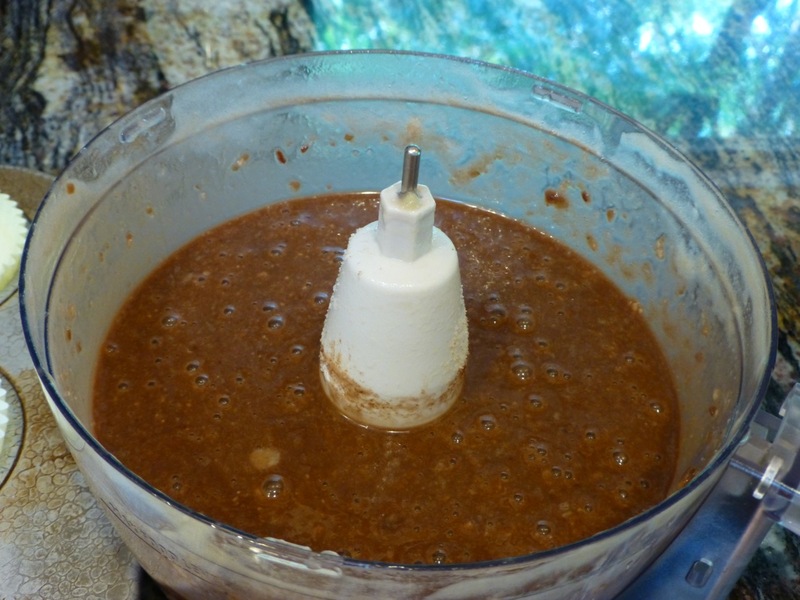 Add the baking soda, powder, cinnamon and salt and mix everything together in the food processor. 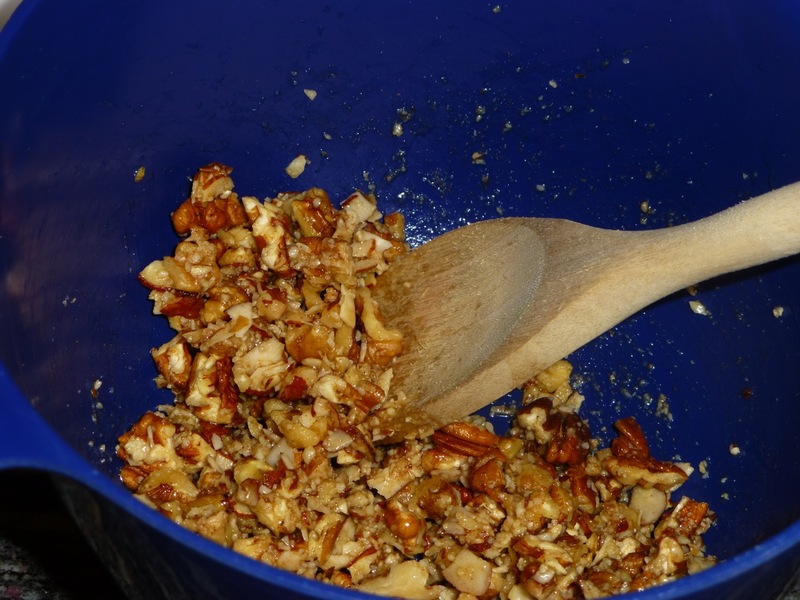 In a separate bowl, add the ingredients for the topping and mix it all together. Line your muffin tin with paper muffin liners and use an ice cream scoop to plop batter into each muffin liner. It should make 12 muffins so try not to pile it too high because the topping will take up a lot of room. 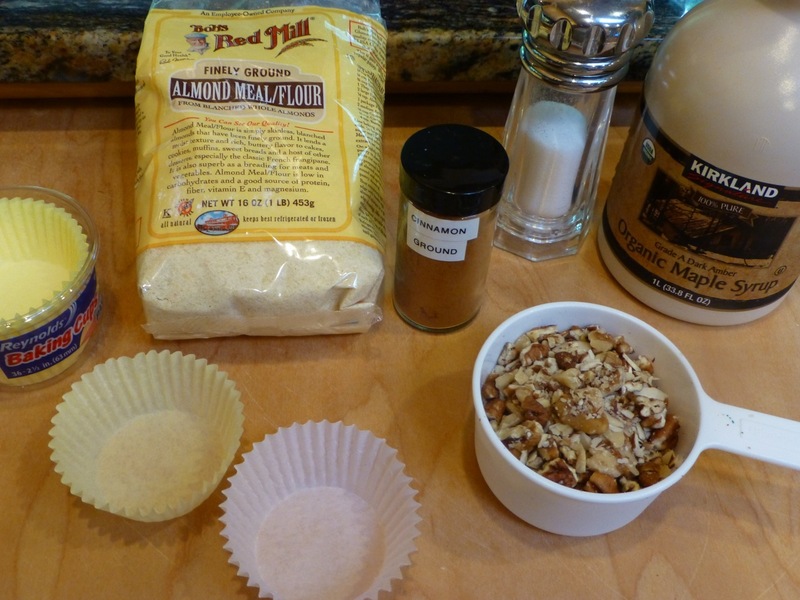 Now add a heaping tablespoon of topping on each muffin and spread it out around the top of the muffin. Press on the top the muffin to check for doneness. It should not give at all (at least in my oven that’s what I found out). 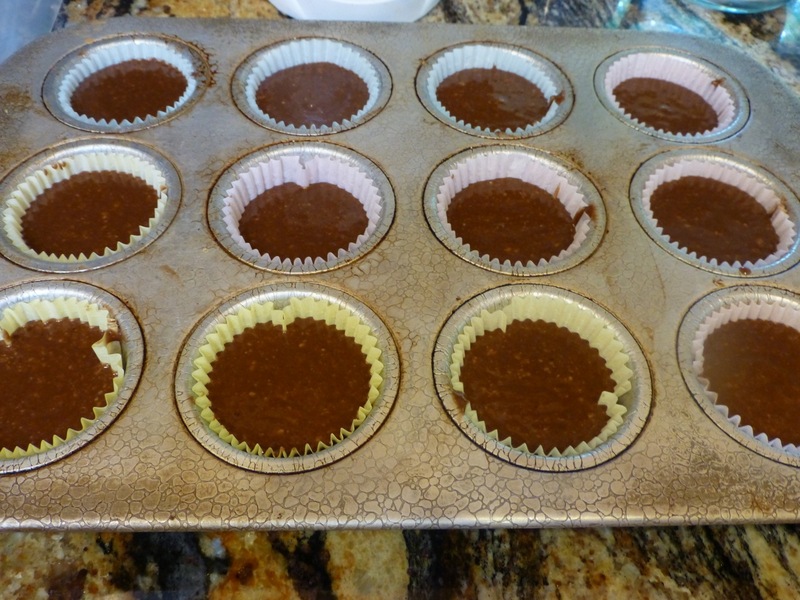 Once they are cooked, let them cool for at least 20 minutes then remove from the muffin tin. 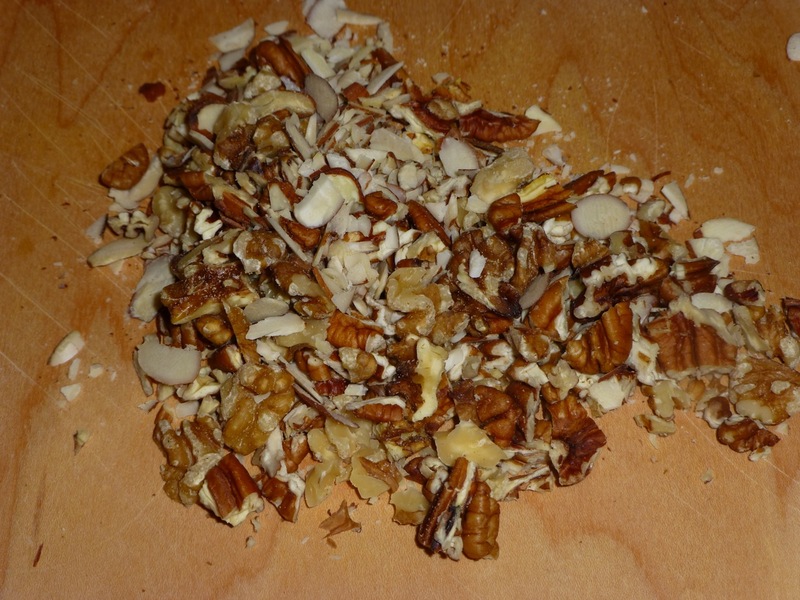 Special thanks to PaleoOMG for this recipe. She has other recipes that are good to try so head on over there and check out that website.